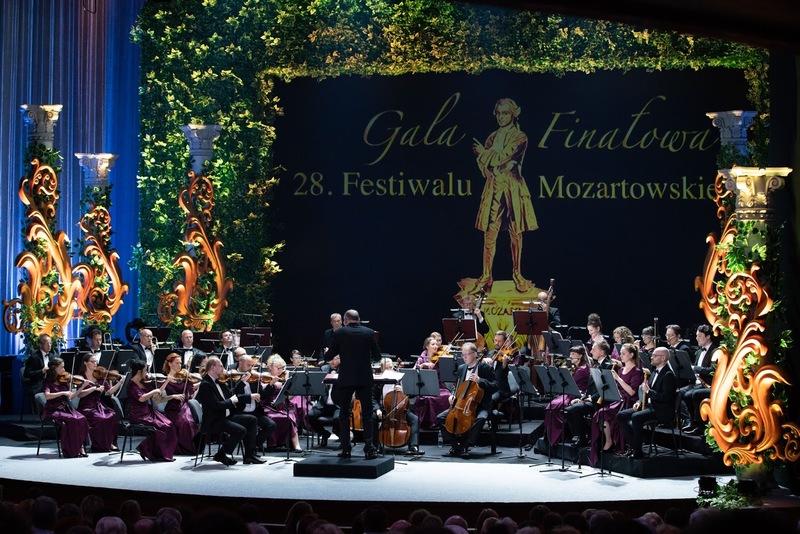 And so we come to the concluding gala celebrating the successful conclusion of the 28th Mozart Festival given in Warsaw by Warszawska Opera Kameralna. It was a shame I was absent from Warsaw during much of this period in Lübeck-Travemunde (Schleswig-Holstein) following the footsteps of Thomas Mann and his masterpiece Buddenbrooks. I was able to only review two operas and the opening and closing concerts. 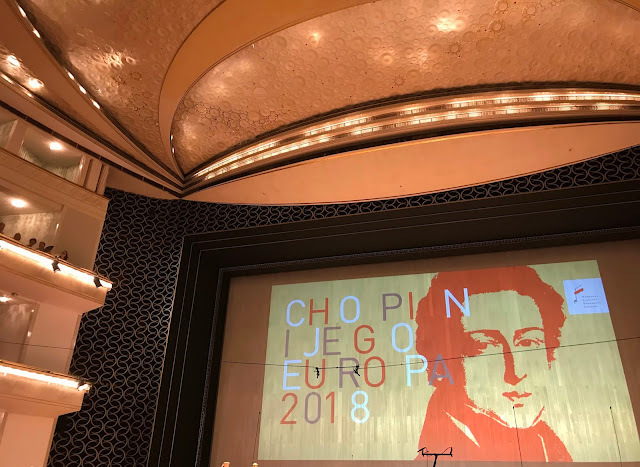 The concluding programme was a similar extensive potpourri to the opening concert of popular Mozart arias and overtures from various operas that were presented during the festival. The evening was intended to 'give pleasure' which it undoubtedly did to the enthusiastic audience - an uncomplicated concert for the enjoyment of familiar Mozart with fine singers from the company. 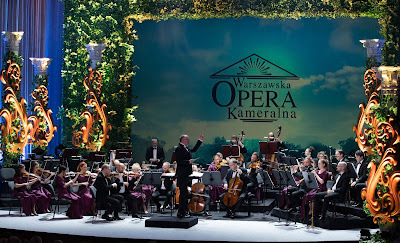 The orchestra Musicae Antiquae Collegium Varsoviense (who play permanently on period instruments) was directed by the distinguished Polish conductor Marcin Sompolinski. The choice of the Teatr Polski was a fortuitous one from the point of view of glamour and audience comfort but perhaps not ideal acoustically. The orchestra opened with the marvellous Overture to Die Zauberflöte that contains so much of the drama of human struggle within it. However I felt the opening could have had somewhat more of a declamatory spirit. Then the first aria Porgi, amor from Le Nozze di Figaro sung by the sensitive, experienced and theatrical Polish soprano Joanna Freszel. She has won many important prizes both in Poland and abroad after studies at the Fryderyk Chopin University of Music in Warsaw. She is well known for her contemporary music repertoire. This aria was a difficult choice to open a concert of this kind. 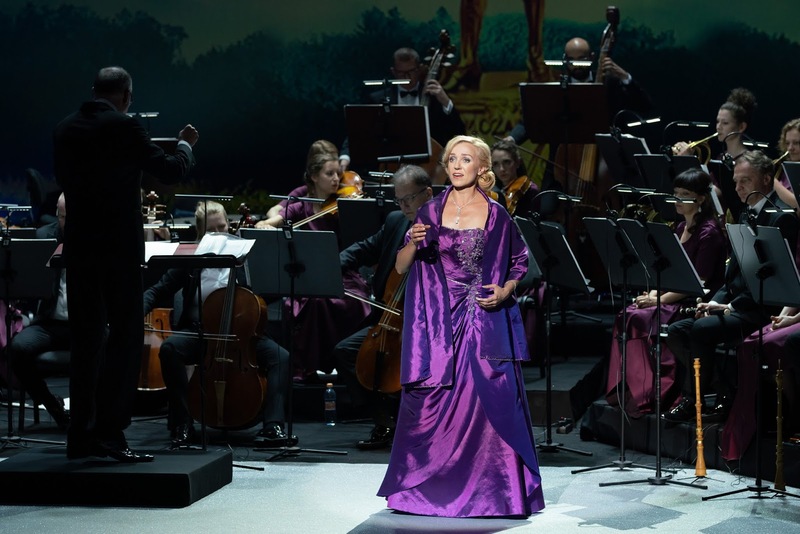 This was followed by the Ukrainian mezzo-soprano Iryna Zhytynska. She trained in Kiev at the Tchaikovsky National Music Academy of Ukraine making her debut as Olga in Eugene Onegin. She works closely with Wroclaw Opera and has performed with many famous conductors. She sang Cherubino's Voi che sapete from Le Nozze di Figaro. As I have always imagined this role as rather fetchingly en travesti, her glamorous figure-hugging white satin gown and attractive female voice rather contradicted the role for me! 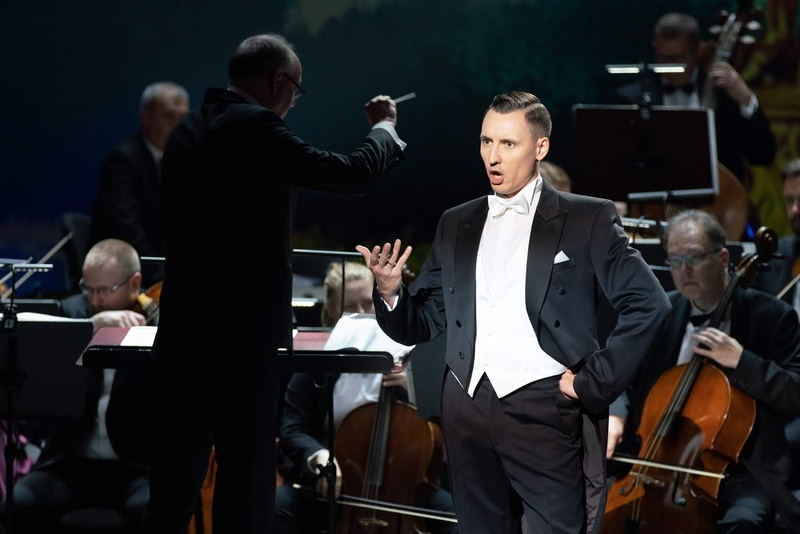 The tall and youthful Polish bass-baritone Artur Janda next performed Figaro's aria Non più andrai. 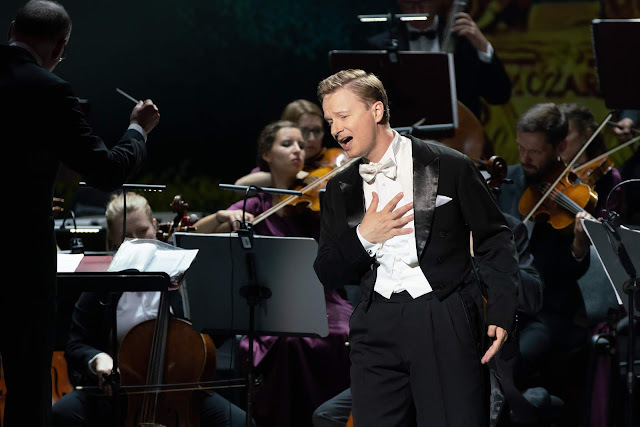 He graduated from the Fryderyk Chopin University of Music in Warsaw and has often been a soloist in the Warsaw Chamber Opera as well as possessing a rich Bach and Handel oratorio repertoire. His expressive and powerful voice never betrayed strain and delivered the aria with ease. His expressive face revealed once again his acting and theater skills. Janda possesses a powerful and natural ability to communicate and engage an audience. Next we were treated to the countertenor Jan Jakub Monowid who studied many difficult roles under prof. Jerzy Artysz at the Fryderyk Chopin University of Music in Warsaw. 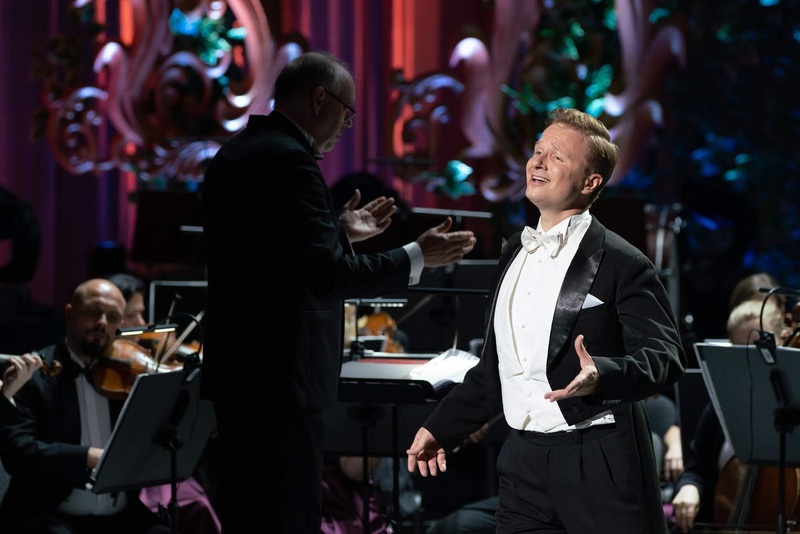 He has had wide experince in the classical and baroque repertoire since his operatic debut in 2004 as Otton in Monteverdi's L'Incoronazione di Poppea. He sang Cherubino's aria Non so piu cosa son, cosa faccio from Le Nozze di Figaro. Some countertenors have been casting desirous eyes on roles normally associated with mezzo-sopranos as here. I must say I prefer a mezzo-soprano singing the role of Cherubino. Expressive yes, but I felt him not entirely comfortable with the tessitura. The orchestra then performed in a surprisingly lively mood the rather spirited and rhythmical Fandango from Le Nozze di Figaro. It is often performed as a more stately dance (Vienna State Opera) but I was quite taken by this approach. Oh, Constanza! To behold you! Croesus' treasure could not equal it. The bitter pangs of separation. 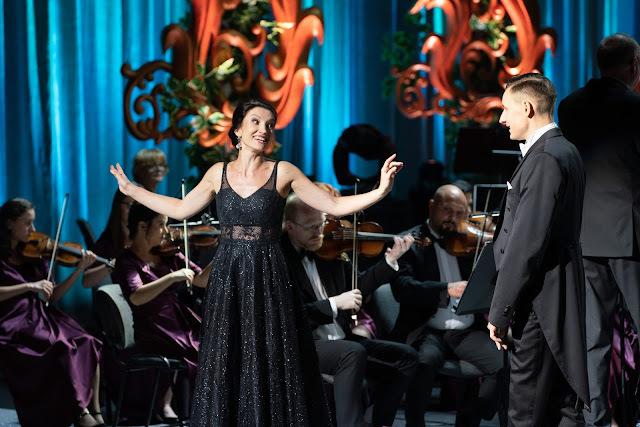 The soprano Joanna Moskowicz studied at the Academy of Music both in Łodź and Wrocław taking part in the prestigious Wratislavia Cantans Festival. 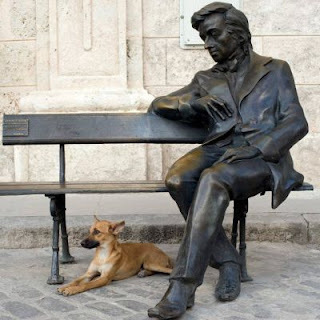 She is a laureate of many competitions both in Poland and abroad. Her communicative ability musically and personally with an audience is strong and well developed. Here she sang Konstanze's vocally demanding long aria Martern aller Arten from Die Entführung aus dem Serail (probably the 'too many notes Herr Mozart' aria). 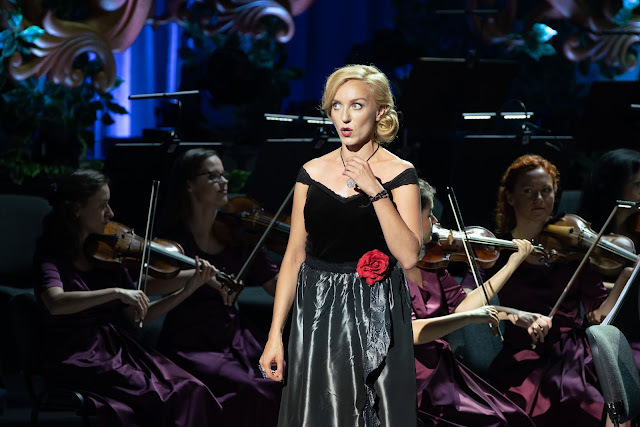 I think it was at this point that I began to distinctly feel a lack of sufficient support of the singers by the orchestra, so vital in solo concert aria stage performances. A mystery to me given the distinction and experience of this orchestra and conductor, although not perhaps on an open stage. 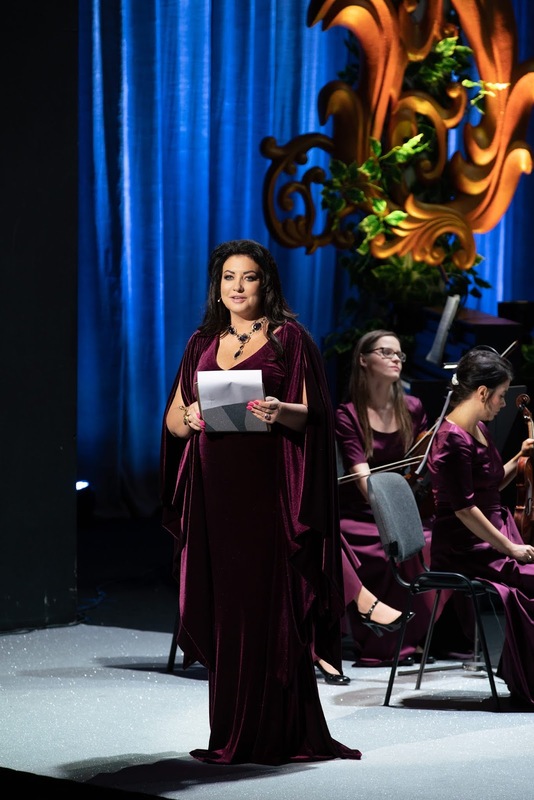 At intervals throughout the concert, the Artistic Director of the Warsaw Chamber Opera, Alicja Węgorzewska-Whiskerd, PhD gave commentary and approbation. After the interval a pleasantly lively and festive performance by solo orchestra of the Overture to Die Entführung aus dem Serail. 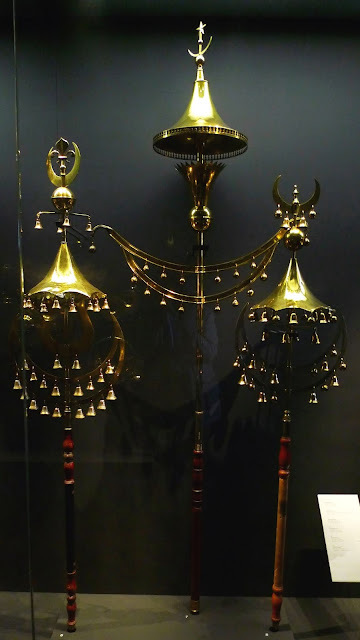 The photograph below I took in the Musikmuseum in Basel may well have been known to Mozart and inspired the orchestration of the percussion section for his Turkish inspired operas. and a 'Jingling Johnnie' by the English. After the interval I will not cover every aria but would like to single out some highlights. Jan Jakob Monowid gave us a far more suitable aria for his countertenor in a sensitive and sweet rendering of Dolce d'amor compagne from La finta giadinera. Joanna Freszel offered a rather lyrical and touching performance of Pamina's aria Ach, ich fühl's from Die Zauberflöte. 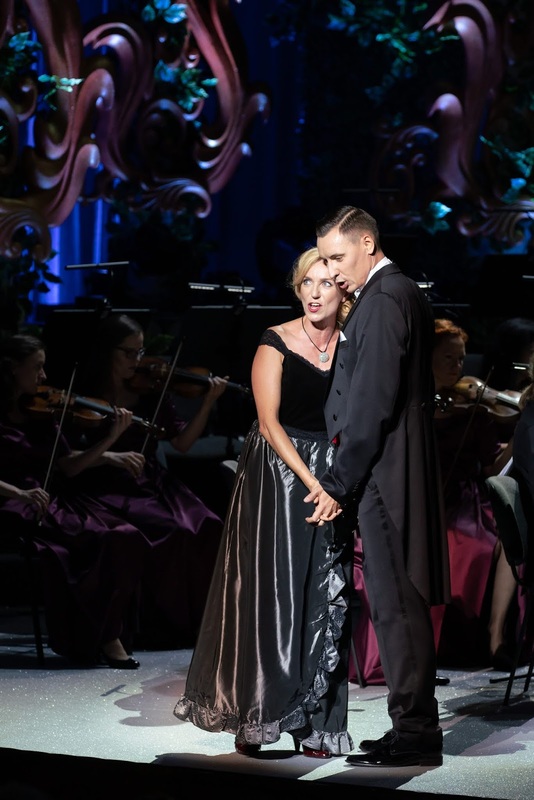 In Ein Mädchen oder Weibchen from Die Zauberflöte Artur Janda was in fine voice but lacked the expressive theatricality and humorous expression of shallow male desire this catchy tuneful aria requires. Together with a vivacious and lively Iryna Zhytynska the Pa pa pa duet came off splendidly and stirred the audience to cheers as one might expect. The final aria from Joanna Moskowicz - that great showpiece covering two octaves in range Der Hölle Rache kocht in meinem Herzen - Hell's vengeance boils in my heart - rather brought the house down. The moving purity of her intonation was piercing and effortlessly comfortable in the high tessitura of this astonishing work. The finale given by the orchestra was something I had never heard before and was most amusing in that childish theatrical manner Mozart sometimes displayed as part of his personality. It was the Muzik zu einer Pantomim KV 446/416d (Music to a Pantomime) written for a 'masquerade' in the Roudetensaal of the Hofburg on 3 March 1783 (Carnival Monday). Constanze's sister Aloysia Lange was Columbine to Mozart's Harlequin. An old dancing master was Pantalon. All this is mentioned in a letter to his father dated Vienna, 12 March 1783. The music is rather stylized and exaggerated but amusing. As it was left incomplete by Mozart I wonder whose version was used here. Pity there were no masqueraders on stage to complete the party!! In my researches I found a rather charming film of a staged version from Prague. 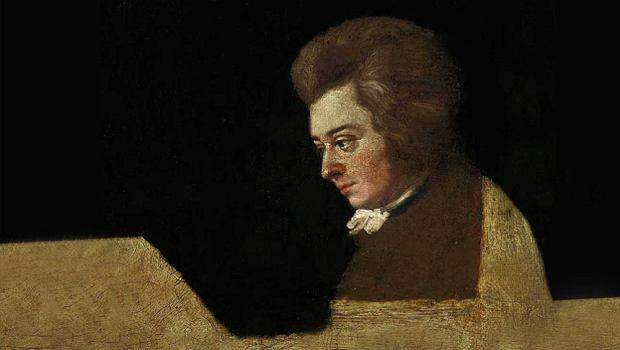 Perhaps we can glean some idea of the fun and games tumbling in Mozart's fertile mind from this. Both plot and music were his. '...and I must say we played it charmingly.' he wrote to his father. In the letter he enclosed the pantomime programme which he says was distributed by a masquerader dressed as a local postman! The film is an excerpt from the live open-air performance of the only ballet-pantomime by Mozart from 1783 and performed on the mobile Baroque stage of the Florea Theatrum (premiered on June 29, 2017 in Prague). Choreography and stage direction were by Helena Kazárová. The music is performed live by the Musica Florea Orchestra, conducted by Marek Štryncl. A fitting and welcome rather inventive light-weight confectionery conclusion then to highly successful and inspiring 28th Mozart Festival, operating forever in the face of Les Barricades Mystérieuses. To conclude here is a thought provoking quotation concerning Mozart taken from Steppenwolf by Hermann Hesse, an extraordinary novel preoccupied with the power of the composer.